We know that small businesses have to be flexible to thrive – and that more and more of your business is happening outside its physical walls. That’s why we’re excited to have released our mobile app for Ooma Office. We took all of your most-used Ooma Office features and built them into iOS and Android apps that let you tap into the full power of Ooma Office from anywhere. You and your employees can use at the office over Wi-Fi, or on the go using your cellular data plan. What else can you do in our new app? Best of all, the Ooma Office mobile app is a free add-on that any user on your system can use at no additional charge. No longer “tied down by landlines,” longstanding customer Sheree of Sheree Earle, LCSW shared that “it fits right into my on-the-go lifestyle – it’s like having an office wherever I go.” Another Ooma user, Juan S. of Pasan Services, summed up his experience, saying that the Ooma Office mobile app “presents one of the best office mobile solutions I have seen.” The flexibility it provides to small business owners have Juan recommending the service to friends looking for a versatile business solution. 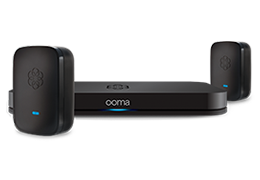 Try Ooma Mobile Office for yourself and let us know what you think. The iOS and Android apps are available for free download in their respective app stores. Which new mobile feature are you most excited to try out? I like the idea of the mobile app. I believe using it does not result in cell phone minutes charged, but I could be wrong. Will need to test this. I use the mobile app for outgoing calls, but incoming calls on the mobile app appears to continue to have some glitches. My phone will ring, but then I cannot pick up. A few times it did work, but not consistently. Will be continuing to test this. Hi. If you connect to the wifi you will not have to use your data plan. 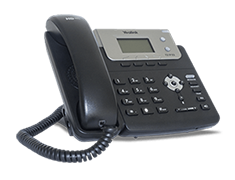 I cannot get my calls.. <i cannot hear my calls.. when <i click on voice mail.. it has a recording that says send this to your cell… but it does not send the voice mail to my cell.. I simply cannot listen to my voice mails on the dashboard.. nor the notifications on the computer laptop nor the email notifications that are pushed to my iPhone… <i do not get the calls … <i cannot make outgoing calls… the app does not load on my phone even tho it worked after loading it in the usa.. <i am out of the usa now and using a provider called claro in ecuador and it has just fallen apart and is unusable but <i am getting calls and voice mails.. but <i can´t hear the ring.. <i never can pick up the call.. and the voice mails.. are not able to be listened. too… <i have to have some resolution… help..
Hi Soleil. Please contact Customer Support at 888-711-6662, they’ll be able to jump into your account and troubleshoot the issue.